A book that celebrates the superhero in every father. When he comes home, Dad smells like dust and diesel and machines. He smells funny but I still love him. much he’s missed us and how he’s glad to be home. Maybe this time he’ll stay. It isn’t easy to understand just what it is Dad does when he’s away working, or even why he doesn’t stay longer when he comes home. But one thing is for sure, when he is at home, the family makes the most of their time. 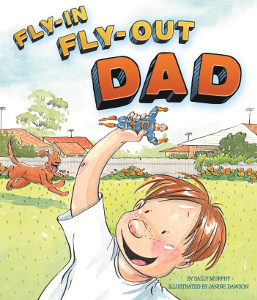 Aimed at children who may have a FIFO or DIDO parent (but also interesting for other children), Fly-In Fly-Out Dad tells the story of one family’s experiences, as well as bringing to life the imagination of the narrator, who imagines his Dad as a superhero. Illustrated by Janine Dawson, Fly In Fly Out Dad is unfortunately now out of print. For photos and images of mine site life, see my Pinterest board. A warmly written glimpse of a loving family overcoming regular separations. A must have for any family where mum or dad have to stay away from home for their work. …relevant and light-hearted yet intrinsically sensitive to the FIFO dynamic. 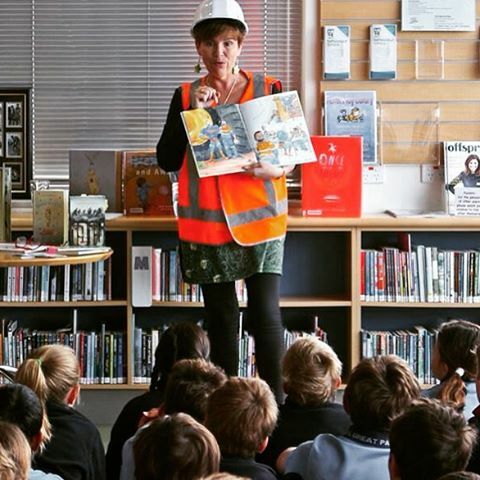 This book admirably reflects the diversity of Australian families, one many children will not have come across, but reading this will now have a greater understanding of the lives lead by some of their peers.